The SeaFort-Island of IJmuiden is located at the very beginning of the North Sea Canal. This unique Fortress is part of the so called “Stelling van Amsterdam” that consists of 42 Forts built around 1885 and served as defense-mechanism of our capital Amsterdam. 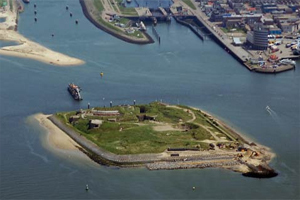 The Fort of IJmuiden is the biggest and most impressive of “De Stelling”. The isolation, the little beach, dunes and the underground tunnel system makes this amazing SeaFort one of its kind, at only a 30 minute drive away from Amsterdam. Within the unlimited possibilities of this unique location we organize a Fort discovery among other activities. 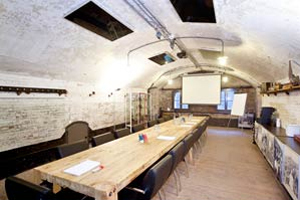 A number of rooms are adequately equipped for corporate meetings, this in combination with the activities that the fortress offers makes your meeting an unique experience.